An adventure-filled romp through one of aviation’s most notable, dangerous and entertaining pursuits: airshows! In the early days of aviation, all flights were airshows. Spectators gathered whenever a new flying machine attempted to leave the ground—the trick was to get them to pay. Takeoffs and landings did not sell tickets but people lined up, money in hand, to watch a “dip of death,” in which an aviator would dive from as high as he or she dared and pull up at the last second. Risk always sells and flying was man’s riskiest endeavor yet. From the start the “exhibition pilots” stood out. Everything about an aerobatic routine requires a degree of skill and a commitment to practice inconceivable to even most pilots, presenting innumerable risks to life and limb. And with risk, often, comes tragedy. 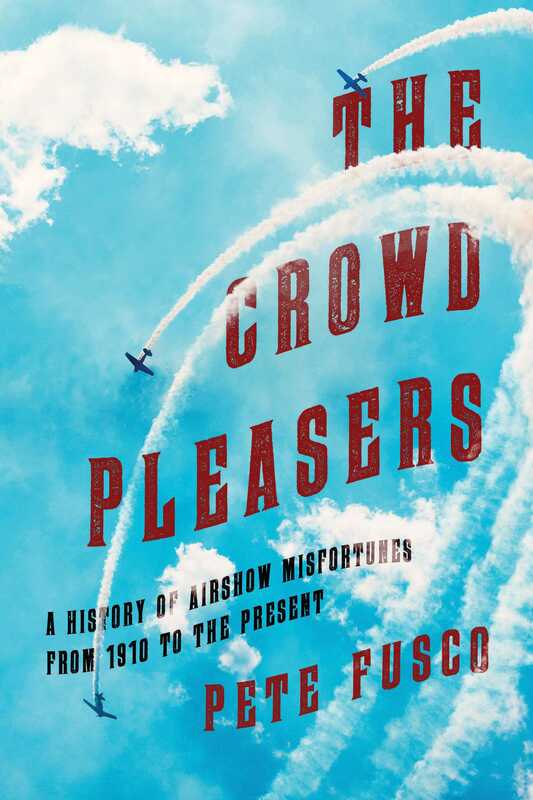 The Crowd Pleasers is a sweeping history of air show accidents beginning in 1910 with the death of Charles Rolls, co-founder of Rolls-Royce, and ending in the present day. It brings to light some of the most notable air show accidents of all time and explores the aviators behind them. Their stories, their motivations. In so doing, it illuminates the role played by choice, social circumstance and fate in these often devastating accidents, and the lives attached to them. A must-read for all aviation buffs.